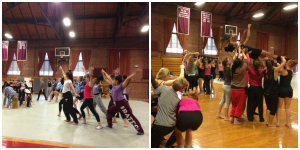 Wednesday was a unique day at the Young Dancers Workshop. 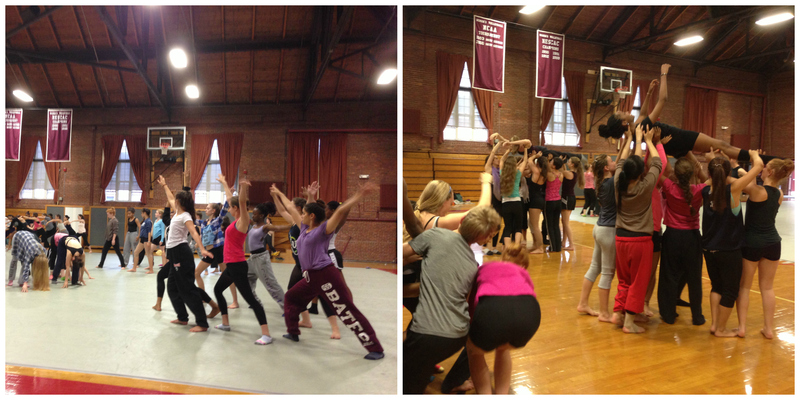 All the students took class together and our teachers co-taught throughout the day. This mid-week mix up gives the dancers a fun change of pace along with a chance to take class with other dancers and instructors. 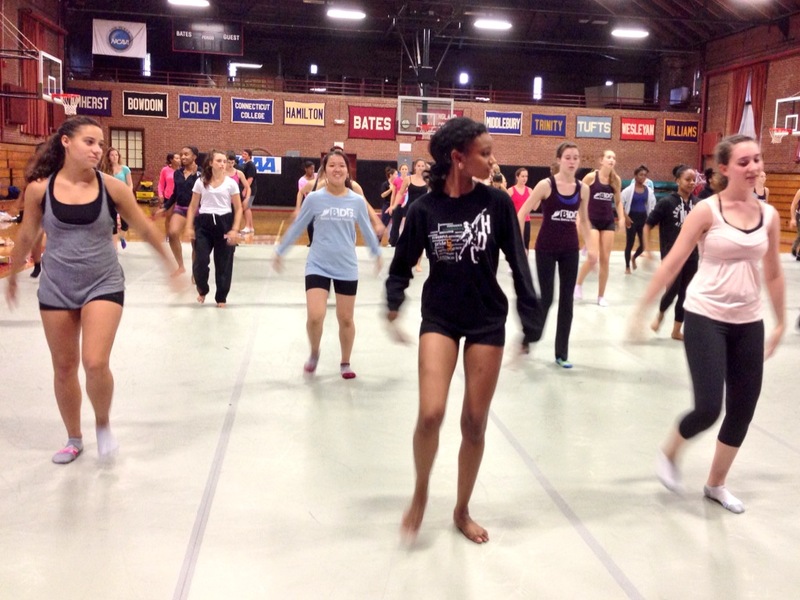 The morning started off with a combined ballet class taught by Shonach Mirk-Robles and Martha Tornay, then dove right into a modern dance class led by Heidi Henderson and Kendra Portier. Partnering was emphasized throughout the morning as students manipulated each others bodies and learned a tricky contact-emphasized combination. That afternoon the dancers joined a music class led by four of our fantastic accompanists, Glen Fittin, Peter Jones, Carl Landa and Shamou. In this class dancers were given tools to practice their counting, tempo changes and accenting both as a group and individually. A large circle formed around the dance floor in Alumni to count off using voices. Students practiced finding individual rhythms along with finding group counts by stomping and clapping across the floor. This type of class is important for bridging our understanding of creating dance and creating music. Carl ended class by discussing what our accompanists are always trying to do when working with dancers. Focusing on the timbre, or the quality of music, they work to match the qualities they see in the bodies. Stomping and clapping rhythms out in our music class with the accompanists. The last class of the day brought a final sense of community to the space. Improvisation class led by Karl Rogers and Heidi Henderson stressed the importance of working together. Each task given forced the students to find a way to communicate, and more importantly, listen to each other using their bodies. Lining up in order by birthdate without any words spoken, proved to be a tricky task but required the students to turn their focus on for one last time that day. The most special part of class was watching groups of ten dancers lifting each other up into the air and taking them for a walk around the gym. Floating above the room you felt weightless, cared for and supported. What a great way to celebrate the midway point for the Young Dancers Workshop.